Land Destroyer: MH17: World Sees Tragedy, US Sees "Game Changer"
MH17: World Sees Tragedy, US Sees "Game Changer"
by a fighter jet, or even sabotage. July 19, 2014 (Tony Cartalucci - NEO) - United States Ambassador to the United Nations Samantha Power made a series of baseless, contradictory accusations aimed at politically exploiting the tragic loss of Malaysia Boeing 777 flight MH17 with nearly 300 civilians on board. Power asserted that the most likely culprits behind the downing of MH17 were eastern Ukrainian separatists. 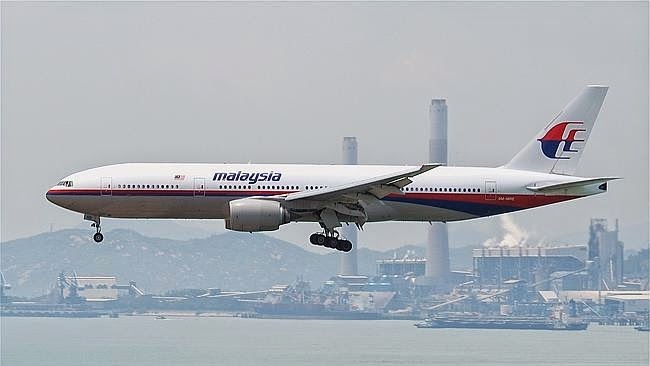 Because of the high altitude MH17 was travelling at - approximately 33,000 feet - Power conceded that the weapons separatists have been using to down Ukrainian military aircraft would have been inadequate to down MH17. After claiming separatists had "bragged" about downing the airliner based on information from "social media," she explained that Russia most likely assisted the separatists in operating the sophisticated anti-air missile systems required to reach MH17's altitude. Power gives no explanation as to why after multiple successful downings of Ukrainian military aircraft with man-portable air defense systems (MANPADS), Russia and the separatists decided to employ larger, more complex weapon systems that would link any incident directly back to Moscow. Power also failed to explain how in one breath she suggests the separatists shot down MH17, then in the next claimed they did not have the ability to do so, and that Russia instead "assisted." Power appears to be suggesting Russia rolled self-propelled anti-air missile systems into Ukrainian territory and assisted separatists in firing at MH17 specifically - since all other incidents of separatists shooting down aircraft involved man-portable systems incapable of hitting MH17. Jane's Defense Weekly's articles, "Two Ukrainian Mi-24s shot down by MANPADS," "Ukrainian Mi-8 shot down near Slavyansk," and "Polish Grom MANPADS appear in east Ukraine conflict," illustrate the scale of proliferation in both numbers and varieties of man-portable anti-air systems that have ended up in separatist hands. 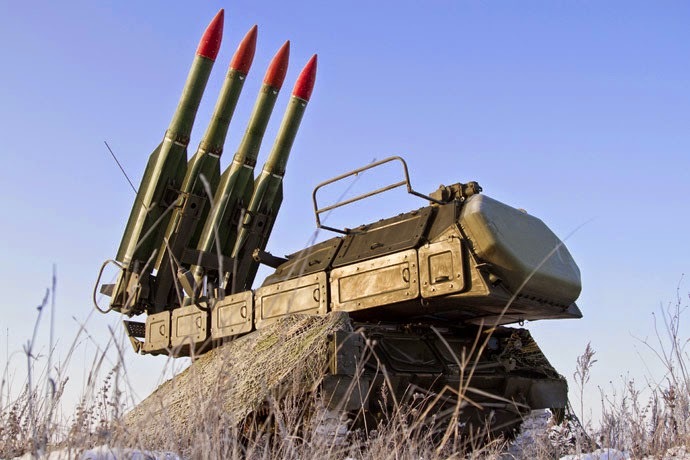 Power and other Western sources have claimed higher flying military transports being shot down by separatists indicate that indeed they have begun deploying - with Russia's help - sophisticated self-propelled missile systems. However, Jane's article, "Ukraine claims Malaysian airliner was shot down in its territory," gave an alternative explanation as to how separatists were able to down military transports flying at higher altitudes - the use of newer SA-24 man-portable systems. While the SA-24 allows separatists to target turboprop transporters at cruising altitudes, it still would have left MH17 out of reach. If separatists did use a Buk (SA-11) self-propelled surface-to-air missile system to down MH17, it would have been the first attempt made with the sophisticated weapon, against the highest flying aircraft targeted thus far in the conflict, and done so at incredible risk when man-portable systems had already proven such a success. In other words - it is a scenario that is very unlikely - and a scenario Samantha Power and the special interests she represents have failed to underpin with evidence. Strategically, politically, and even tactically, Russia and the separatists gained nothing by employing the larger Buk systems within Ukrainian territory as Power is suggesting. diminishes both in Europe and around the world. A Game Change: Within days, however, the real debate will shift from one about producing the right evidence and culprits, to more about what can be saved from the rapidly-deteriorating relations between Russia and the West. The tragedy will stain Russia’s relations with the world for years to come. Nations determined to keep on good terms with Russia – such as China or Vietnam which relies on Russian weapon supplies and wishes these to continue - will keep quiet. And there will always be some plausible deniability, giving other countries enough room for manoeuvre to avoid accusing Russia directly for this disaster. But the culprits for the crime will be pursued by international investigators and tribunals. And many Russian officials will be added to the ‘wanted’ lists of police forces around the world. The story will linger, and won’t be pretty for Russian diplomats. Given the fact that the majority of the victims are European citizens, it is also getting increasingly difficult to see how France would be able to deliver the Mistral ships which Russia ordered for its navy, or how Britain could continue shielding Russia from financial sanctions. And, given the fact that scores of US citizens were also killed on the MH17 flight means that the US Congress will demand greater sanctions on Russia, making any improvement in relations with Washington highly unlikely. RUSI explains in great detail the possible motivation Kiev and NATO had to shoot down MH17 and subsequently frame Russia. An international flight, with passengers from across the globe would invoke unifying outrage against Russia as well as universal support for NATO's so far unsuccessful attempts to isolate Moscow. RUSI itself admits that individual members of the EU have until now, been reluctant to back sanctions and further confrontation with Moscow. The Kremlin's thin veil concealing its waging of war against Ukraine effectively disappeared weeks ago for anyone carefully watching the evidence. But now it has vanished even for the casual observer. Moscow's escalation of the war since the start of July has created too much clear evidence to permit President Vladimir Putin any further benefit of the doubt. 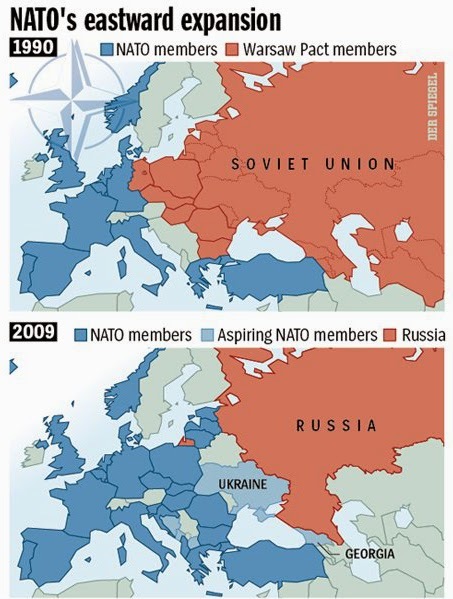 NATO needed a "game changer," because it was playing a game it was clearly losing. The dubious circumstances surrounding the downing of MH17 - occurring just as Kiev's forces were deteriorating across the country and additional US sanctions against Russia fell flat - is more than a mere coincidence. RUSI and the Atlantic Council's statement represent an increasingly desperate and shrinking corner the West finds itself in. 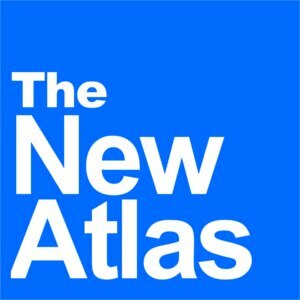 With the ascension of Russia along with other BRICS nations, a "game changer" was desperately needed to "stain Russia’s relations with the world for years to come," and help arrest what appeared to be the irreversible rise of the global East and South, in tandem with the irreversible decline of the West. Image: The intentional targeting and death of civilians has already been carried out by NATO in Damascus Syria in August of 2013 where thousands of Syrians were gassed in an attempt to frame the Syrian government. It was later revealed that NATO's proxy terrorists carried out the attack with sarin gas provided by NATO's regional partners. If the West was so sure of who was responsible for the downing of MH17, it would patiently allow the facts to reveal themselves, giving them unassailable credibility as they begin an effective campaign to contain, isolate, and dismantle Russia's global influence. 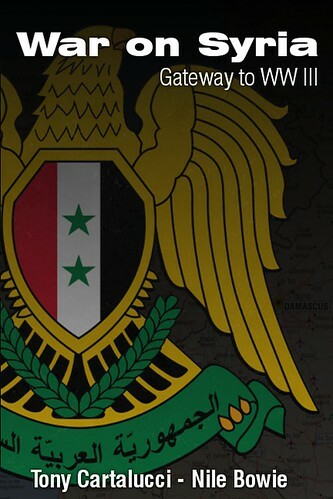 However, just like in Damascus, Syria in August 2013 when NATO gassed thousands of Syrians in what is now confirmed to be a false flag attack, the West is racing against the clock to do maximum damage before the truth of MH17 emerges. The very expediency the West pursues its smear campaign against Russia with raises suspicion. The world has been at critical junctures like this before, with Western politicians and media personalities making well-scripted, passionate pleas - but based on little to no "evidence." Weathering the psychological inertia the West is seeking to stampede its political assault on Russia through with, will cause the West's attempts to reverse its fortunes in Ukraine to fail. Failing in Ukraine will weaken the West's position in Syria and Iraq, further undermine its "pivot" in Asia, and diminish its ability to visit upon humanity yet another horrific staged event it may finally realize will only further compromise its place among a new emerging, multipolar global order - not help it restore its antiquated "unipolar" empire.